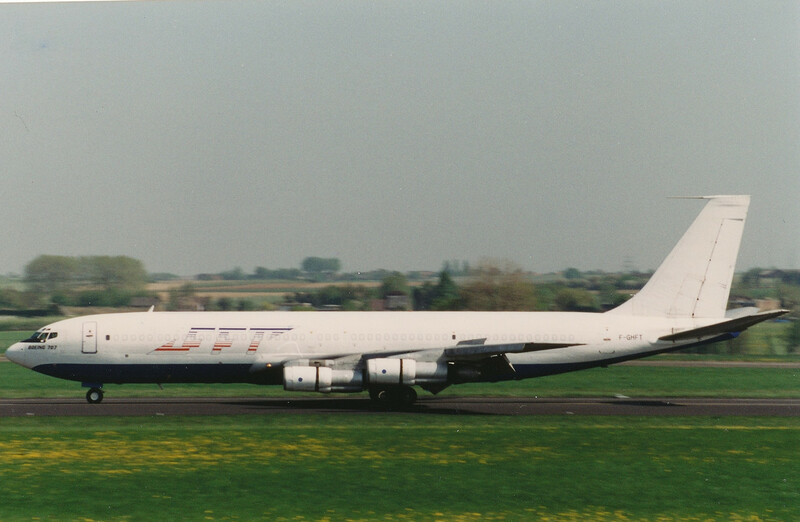 In the spring of 1994 MST had a nice visitor as being B707F F-GHFT of the French company Fresh Food Trading. It came in on an afternoon, announced, and stayed a couple of days at the B-apron. Not much to find on internet about this particular 707, neither about the airliner. The only thing I figured out was that Ports of Call in Denver must have been the previous operator. After her short life for FFT, this 707 disappeared to Africa as 9Q-CWG of Wimbi Diara Airways and lateron as 9G-ADS for Analinda Air Cargo. Here you see the 707 reversing on the zero-four after landing.